This trail follows the Poudre River for 10 miles as it travels through the northern edge of Fort Collins. It passes through several parks and natural areas offering opportunities to, hike, picnic fish, and enjoy nature. The Poudre Trail links up to Spring Creek Trail providing cyclists with routes into the heart of Fort Collins. Air stations are located along the trail in the event your tires need a shot of air. Mileage markers pointing trail users in the needed direction. I chose to ride the eastern portion of the trail. After checking out a bicycle from the Fort Collins Bike Library I began my ride at the Fort Collins Museum of Discovery. The paved trail was in good condition. I enjoyed the pretty scenery while traveling through grasslands, and wooded areas. A portion of the trail between Lincoln Avenue and Mulberry St was closed. However, a marked detour using bike paths along city streets routed me to the open trail. It was a busy morning with many cyclists, joggers, and families starting their day with some exercise. I encountered an unfortunate cyclist who had a flat and left home without a tire lever. He was calling home to his wife asking to be picked up. Thankfully I had better luck than he did and completed my ride without any challenges. If you have chosen to ride a rented or borrowed bike have a plan in the event you experience mechanical problems. Take along your own patch kit, a cell phone, or a cab fare if you need to be fetched via taxi. Fort Collins has a courtesy maximum cycling speed of 15 mph. Choose alternate locations for training rides. Before venturing out on the trail visit the City of Fort Collins website for updates and closure information. If you’ve visited Fort Collins and left your steed at home, no worries! Check out a bike for free at the Fort Collins Bike Library or rent one from one of the many bike shops located around the city. 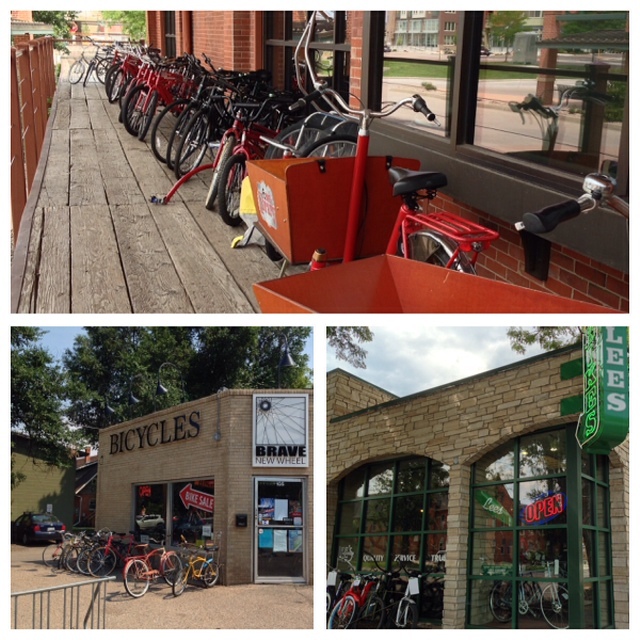 Read about my experience using the Fort Collins Bike Library. Start your day at Snooze with the best breakfast you’ll ever have. The breakfast tacos are amazing and have just the right of spice needed to help you wake up. For a healthy start, the Snooze Continental is just the thing. You can’t beat homemade granola and a grapefruit sprinkled with sugar and lightly singed with the kitchen torch! Located just off the Spring Creek Trail, this garden is a gem. With more than 10 different gardens to walk through there’s something for everyone. Kids and adults will enjoy seeing the extra large (and functioning) watering can. Seeing all the blooming plants and buzzing bees will be sure to put you in a good mood! Fort Collins is craft beer paradise! 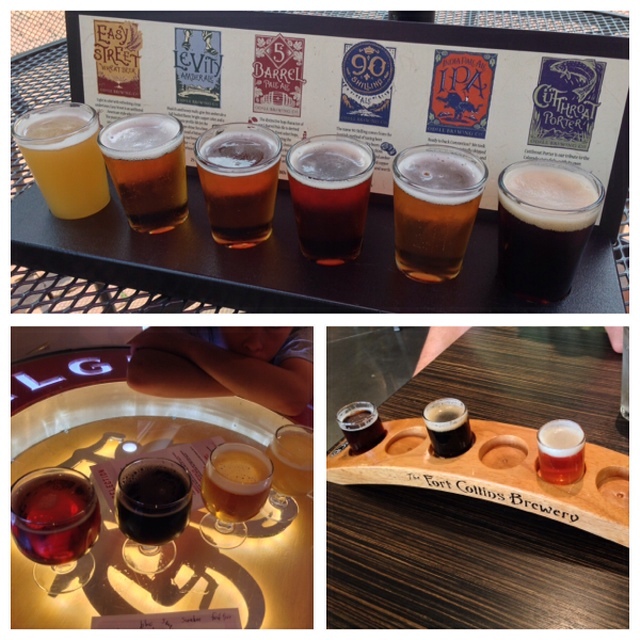 Visiting New Belgium, Fort Collins Brewery, and O’Dell Brewing Company can be considered a requirement for those who enjoy flavorful brews. Bicycles are everywhere! Click here for a gallery of bicycle art found around Fort Collins.